Demser (Metyrosine) is indicated to treat pheochromocytoma or tumor of the adrenal gland. This is given before surgery to control the condition and also given when surgery is not possible. This drug is given to those with high blood pressure who are experiencing this condition. Demser (Metyrosine) is not used for other kinds of high blood pressure. This is being used for long-term medication. How does Demser (Metyrosine) work? Demser (Metyrosine) prevents the tumor from making certain natural substances like catecholamines. Those are the ones that raise blood pressure and make the heart beat faster. Lowering the number of catecholamines lessens the risk of a very serious attack of high blood pressure or hypertensive crisis. Demser (Metyrosine) is supplied as capsules for oral administration. 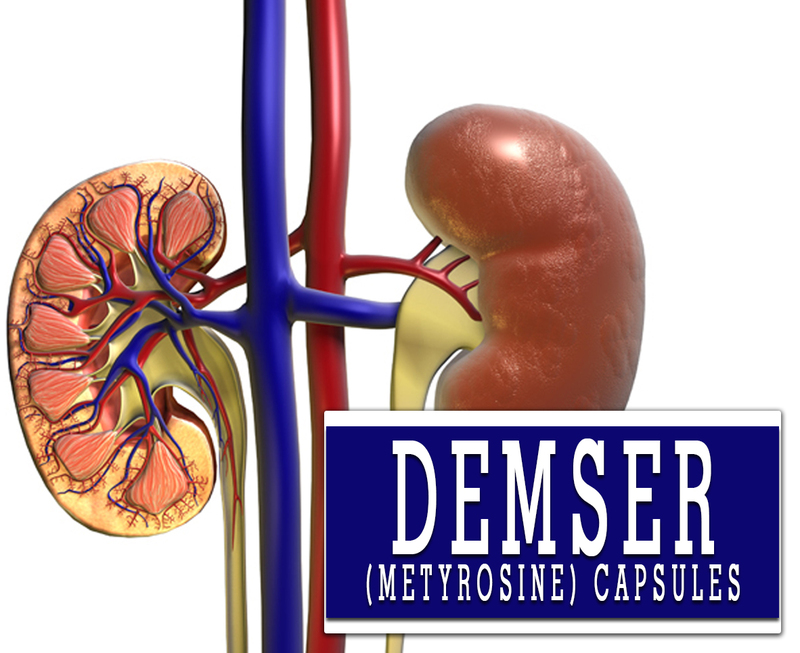 Each capsule of Demser contains 250mg of Metyrosine. It is a white and crystalline powder soluble in water and alkaline aqueous solutions. This medication belongs to the general class of medicines called antihypertensives. This decreases a certain amount of chemicals in the body. The Food and Drug Administration (FDA) has already approved this medication in 1982. How to use Demser (Metyrosine)? Your doctor may instruct you to start at a low dose of this medication and slowly increase your dose. The recommended initial dose of Demser (Metyrosine) for adults and children 12 years of age and older is 250mg orally four times a day. The dosage may be increased to 500mg every day to a maximum of 4.0g per day in divided doses. This medication should be given for at least 5-7 days. Take this medication by mouth and you may take it with or without food. While taking this, it is important that you get plenty of fluids and pass urine frequently to avoid kidney and bladder side effects. Use this regularly and take it exactly as it is prescribed. What are the side-effects of Demser (Metyrosine)? This drug may affect your thinking and reactions. Be careful if you drive or do anything that needs your alertness. Avoid alcoholic beverages. It may increase some of the side effects of this medicine. Before taking this, talk to your doctor first if you are pregnant or planning to get pregnant while having this medication. Let your doctor know if you are a breastfeeding woman.